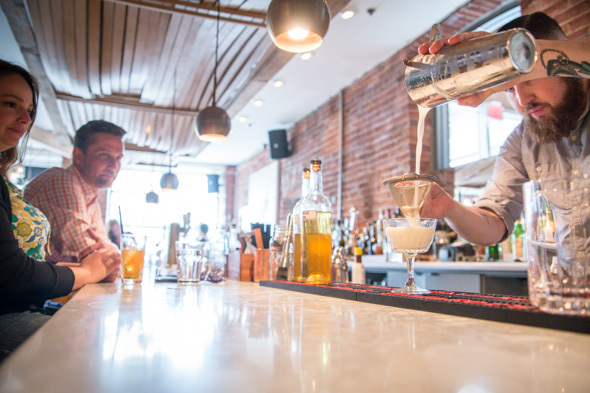 Marben on Wellington at Portland is a restaurant constantly in flux, reinventing itself every couple of years with a cosmetic reno and evolving menu. In its current incarnation, a street-side patio heralds the entrance leading inside to two floors of dining rooms lined with exposed brick and furnished with tinted leather banquettes, distressed woods and eclectic thrift-store artworks. A focus on farm-to-table ingredients helps define its character, though the style of cuisine sways with the strengths of the reigning chef. In the last year, executive chef Rob Bragagnolo has rolled out a line-up of Spanish standards, informed by 12 years spent living and cooking in Mallorca, Spain, where he still owns two restaurants with his business partner, Michelin-starred chef Marc Fosh. 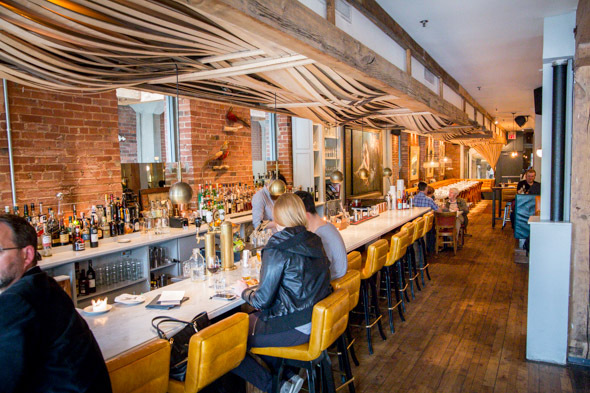 Catering to a well-heeled after-work crowd, the menu offers brasserie staples like oysters, cheese and charcuterie boards, plus an array of tapas-type sharing plates like patatas bravas ($7) and lobster paella croquetas ($12). 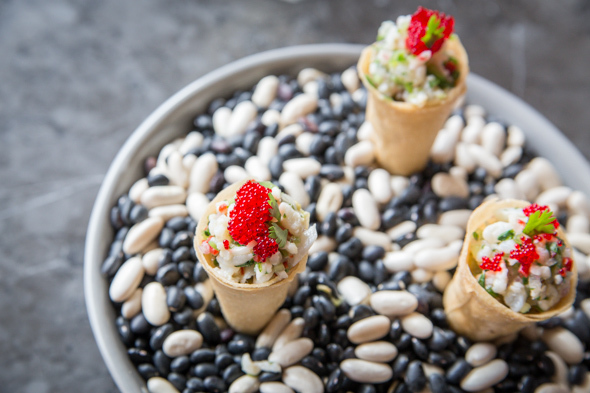 Tequila ceviche cones ($12) are easy to eat and presented like a trio of canapés. Crisp pastry shells filled with avocado and a scoop of whatever fish is fresh from the market (today it happens to be line-caught halibut) marinated with tequila and lime and sprinkled with roe to finish. 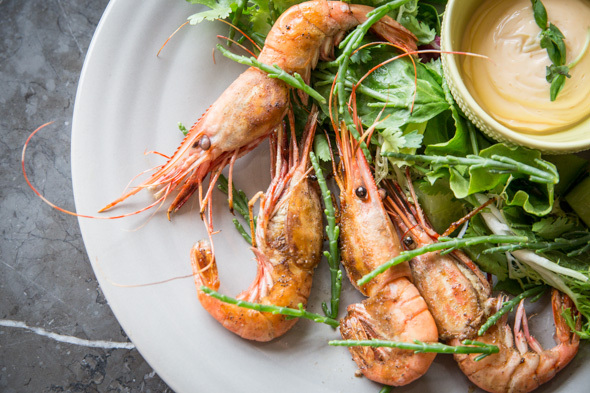 The a la carte menu is supplemented with a list of daily specials; today the short list includes spot prawns ($19) overnighted from B.C, after the fisherman called from the boat to report a good catch. Grilled whole and seasoned simply, you're meant tear them in half, peel and dip into house-made lobster mayo. Head-sucking is optional but recommended. Yucatan style braised beef ($24) is incredibly tender, slow cooked to the point that you can forget your knife entirely. The sweet and spicy glazed slab of meat is marinated in guajillo peppers and pineapple orange juice and sits next to roasted jalapeño and sweet potato purée, beef bacon lardons and chunks of grilled lime. 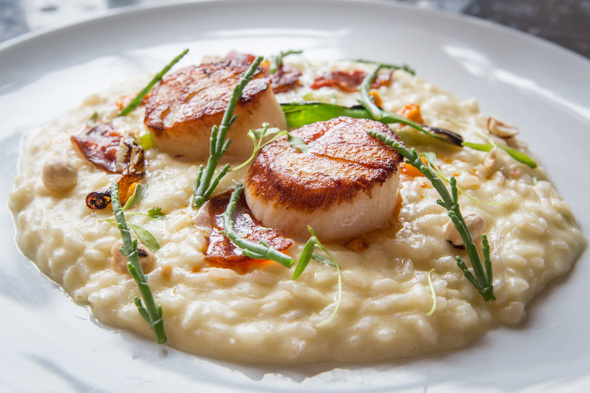 Smoked risotto ($23) enriched with butter and parmesan is finished with smoked olive oil and topped with crisped Ibérico chorizo, sweet caramelized scallops and seabuckthorn. The wine list is organized by origin, though bottles outnumber the selections by the glass. On draft, Muskoka and Kensington Brewing Co. are poured 500mL for $7. 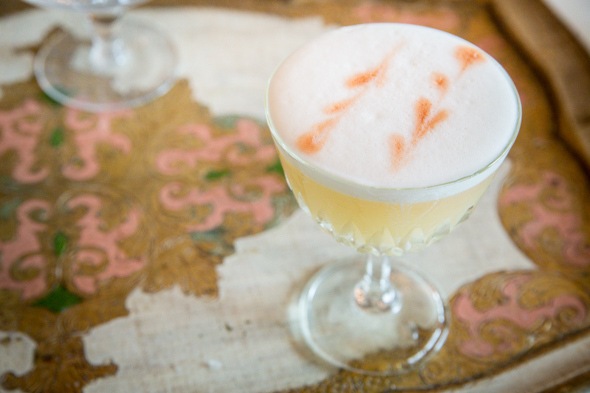 Cocktails like the Tea & Sympathy ($12) are meticulously crafted with chamomile-infused vodka, ginger syrup, lemon dandelion bitters and frothy egg whites. 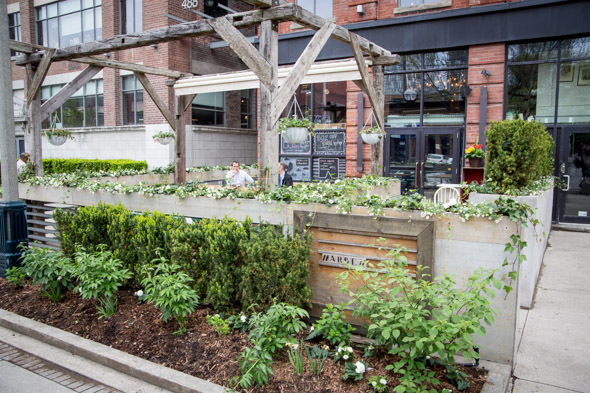 Marben is open nightly from 5pm for dinner, with the exception of Mondays. Lunch and brunch run Wednesday to Sunday from 11:30am to 2:30pm.